HIGH in many Vitamins & Minerals including, potassium, magnesium, iron, fiber, vitamins A, B & C, beta – carotene and folic acid, just to name a few! The high amount of vitamins and minerals in beets helps reduce cholesterol, promote skin health, and can help to treat indigestion, constipation and anemia. Note: Beets are extremely beneficial to women who are pregnant since they contain high levels of B Vitamin Folate which helps the development of the child. Natural CLEANSER & DETOXIFIER! Beets are a natural tonic for the liver, purifier for the blood, and can prevent various forms of cancer. Beets contain properties that fight blood clotting and plague formation which could ultimately lead to heart disease, stroke or a pulmonary embolism. Source of ENERGY. Beets are very low in calories and high in good carbohydrates and natural sugar. This type of sugar releases very slowly (as opposed to the bad sugars), which combined with the carbohydrates, regulates energy levels for longer. …and now, of course, a recipe to make using beets (which happens to be my all time favorite way to cook them). 2. Line a baking tray with tin foil and spray with coconut oil or olive oil. 3. Cut beets into small squares and/or wedges and line them up on the baking sheet. 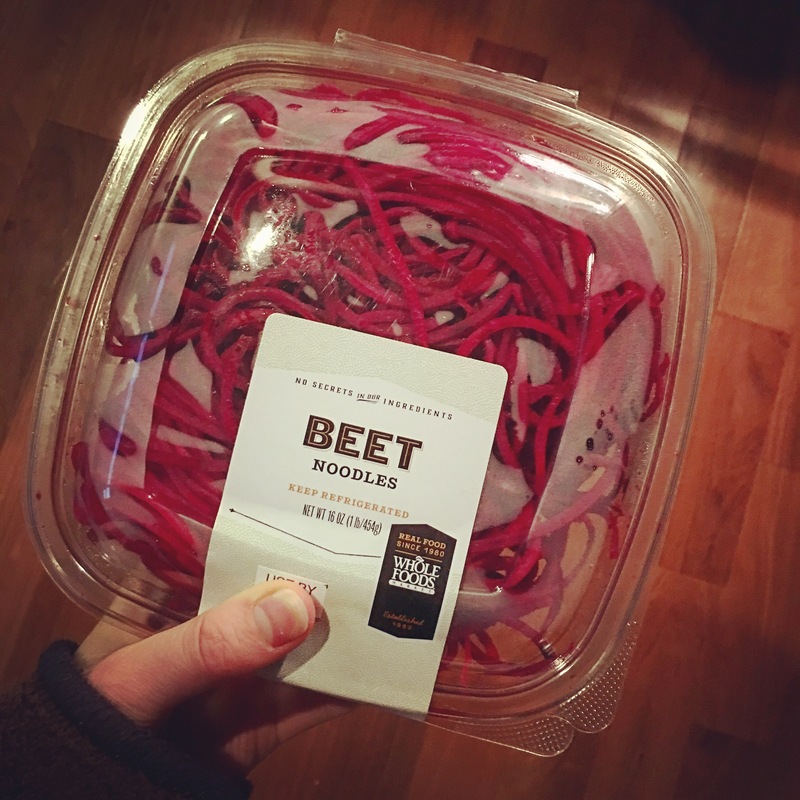 You can also spiralize your beets if you have a spiralizer. 4. Drizzle the beets with coconut oil or olive oil and then sprinkle garlic powder, rosemary and sea salt on the top. 5. Place in the oven for 25 minutes.